9/10 of the HW All Stars ’12 series and part of the 2012 Secret Treasure Hunt set. 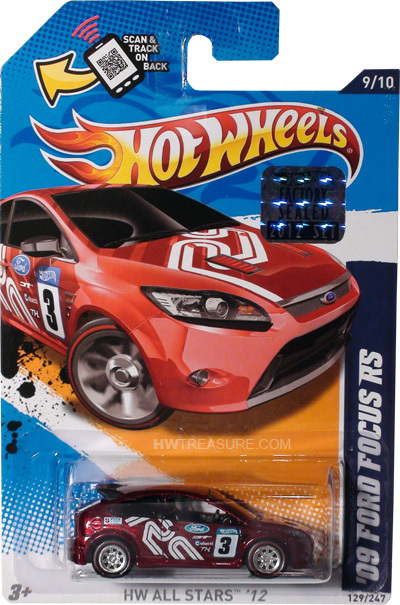 The Spectraflame red Focus is emblazoned with white graphics. 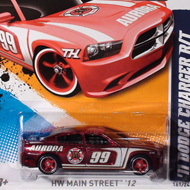 The sides have the Ford logo, “3”, “TH”, the Hot Wheels logo, and other logos. It has tinted windows, black interior, chrome 8-spoke Real Rider wheels with red line tires, and a grey metal Malaysia base.